Used Nortel cards MGC. Sell buy used refurbished Nortel cards. We will pay you top dollar for your used Nortel cards. Contact us today to sell used Nortel cards in good working condition. We pay for freight. Call 1-888-234-4975 for more details. 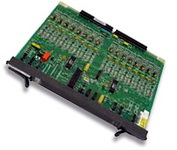 Quality used Nortel cards will save you money when compared to purchasing new Nortel cards. We have hundreds of used Nortel cards in stock to choose from. Below are some of our best-selling used Nortel cards. Call us if you don't see the used Nortel card you need. We have many Nortel Succession systems in stock. We can design a custom solution to fit your need for a CS1000, Option 11C, 61C or 81C. We can also install your used Nortel telephone system anywhere in the nation.